Anne Schrader is an experienced derivatives lawyer who advises banks, investment managers and corporates on the regulation and documentation of derivatives, repos and stock lending in a broad range of asset classes, including commodities. She spent over a decade in a leading German investment bank as an in-house lawyer providing expert legal support to the front desk (traders, sales and structurers) in the Frankfurt, Paris and London offices of the bank. 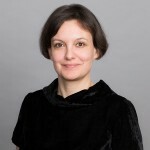 She is a specialist in trading agreements and equally familiar with the German derivatives trading documentation (DRV), ISDA (English and French law) and the French FBF, including documentation for uncleared margin. Anne started her legal career in the Banking & Finance department of White & Case. She is conversant in German, English and French.